"I'm also joining the figma series? How exciting~nya!" From the anime series 'LoveLive!' 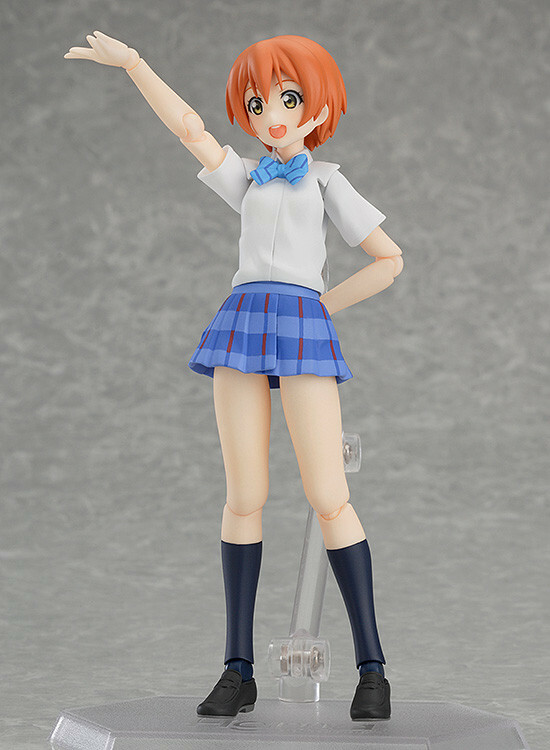 comes a figma of the μ's member who sets the mood, Rin Hoshizora! Three expressions are included: a smiling expression, a winking expression as well as her famous excited expression! 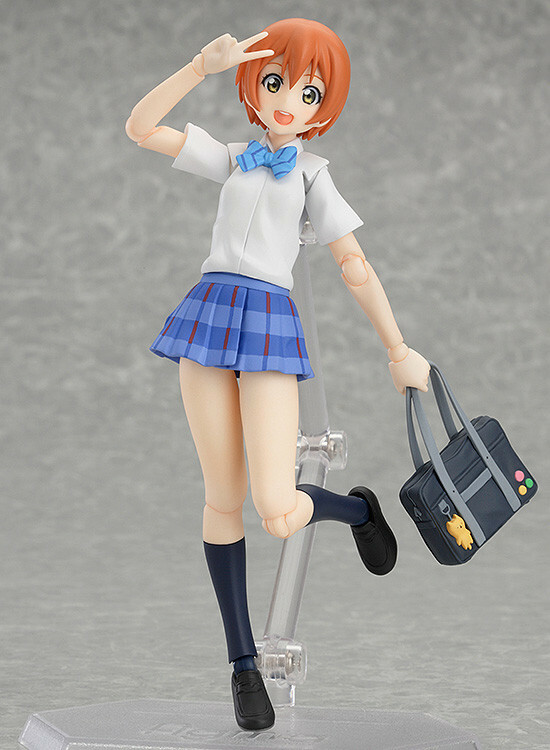 Optional parts include her school bag, the maracas she holds in the ending theme as well as an alternate front head part to display her hairstyle when training. 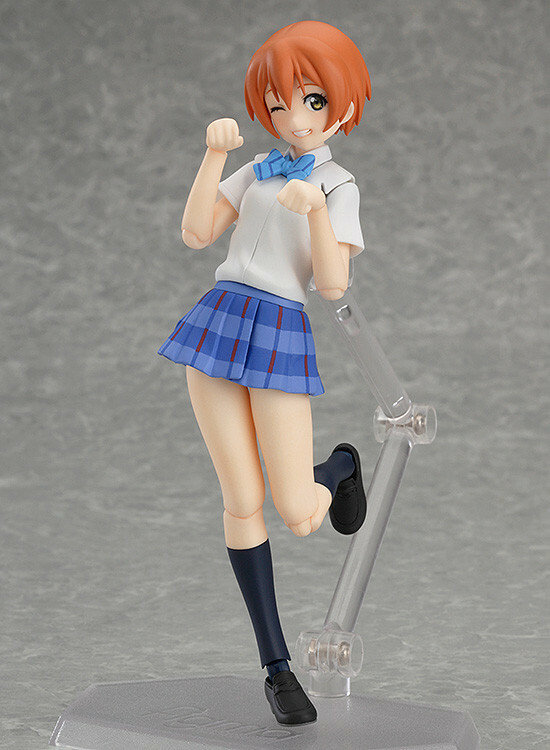 Just like the previously announced LoveLive! 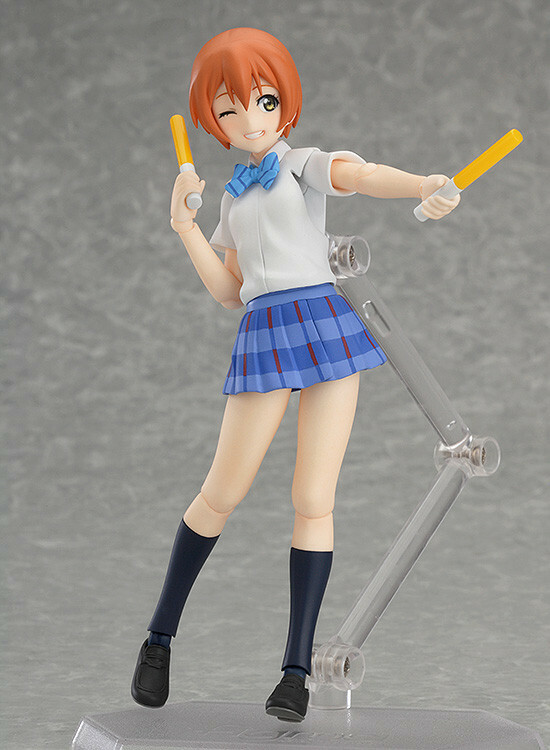 figmas, she comes with two glow sticks of her image color. 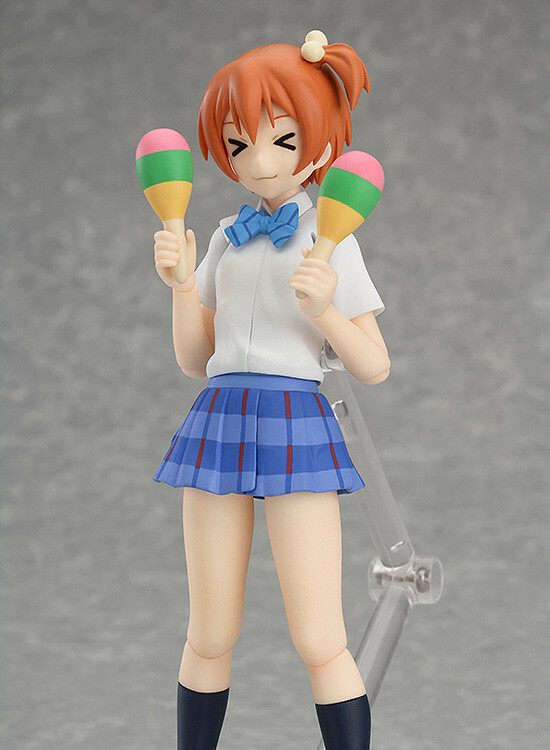 Preorders will be open from 17th September 2015 (Thu) from 12:00JST until 14th October 2015 (Wed) at 21:00JST. 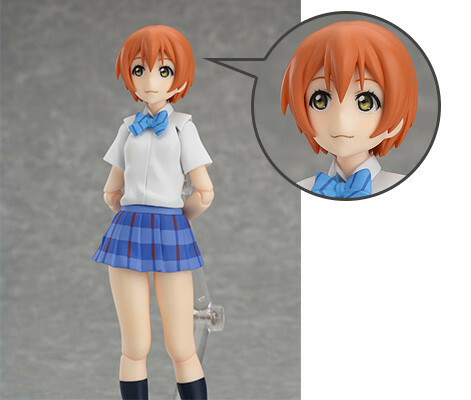 Preorders of figma Rin Hoshizora from the GOOD SMILE ONLINE SHOP will include a Playing Dumb Expression as a bonus!